The Clarion Area Track and Field Teams competed in the Redbank Valley Invitational on Thursday, May 11th and both had good showings. The Bobcat Boys finished with 67 team points, while the Lady Cats scored 60 team points. Adam Bettwy and Brendan Zerfoss each had a first place and second place finish in individual events. Bettwy won the 3200 (10:37.39) and took second in the 1600 (4:53.12), while Zerfoss took gold in the 100 (11.66) and silver in the 200 (23.30). Zerfoss joined Marshal Powers, Archer Mills and Ty Burford for a second place finish in the 4×100 (44.98). Austin Hummel and Jimmy Smathers took thirds in the 800 (2:06. 72) and javelin (157-5) respectively. 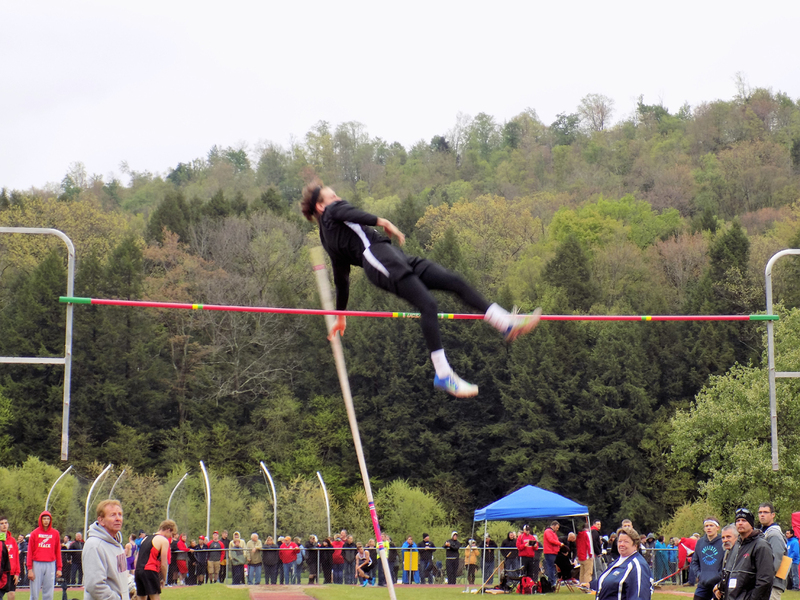 Mills had a fourth in the high jump (5-8). Ty Burford had three top ten finishes, taking fifth in the triple jump (39-11.75), seventh in the 100 (12.06) and tenth in the long jump (17-11.25). Hummel, Nick Schill, Noah Schill and Daniel Ketner teamed up for a fifth place finish in the 4×800 relay (9:11.25). Nathaniel Lerch finished fifth in the 1600 (4:56.32) and tenth in the 800 (2:17.64). 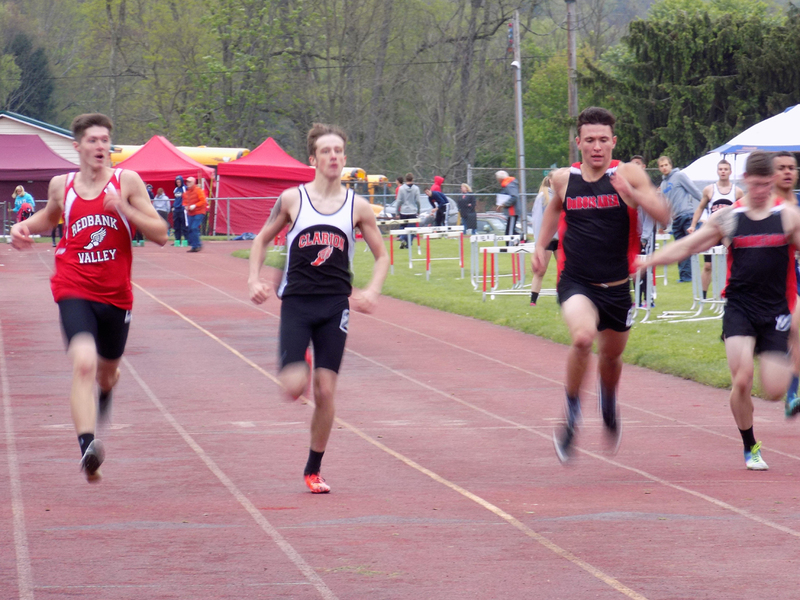 Marshall Powers was sixth in the 300 hurdles (43.10) and eighth in the 100 (12.25). 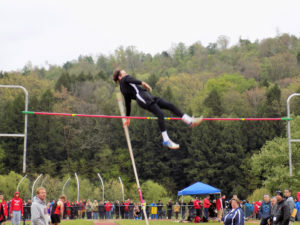 Tom Hearst finished seventh in the pole vault (10-3). Nick Schill finished 8th in the 3200 (11:13.94). Jacob Burns finished tenth in the 300 hurdles (44.31) and also competed in the long jump (17-5.75). Daniel Ketner competed in the 3200 (12:05.17), Frank Weber competed in the 1600 (5:12.39) and Noah Schill participated in the 800 (2:25.81). Forest Madison Mills brought home gold in the 800 (2:30.11). 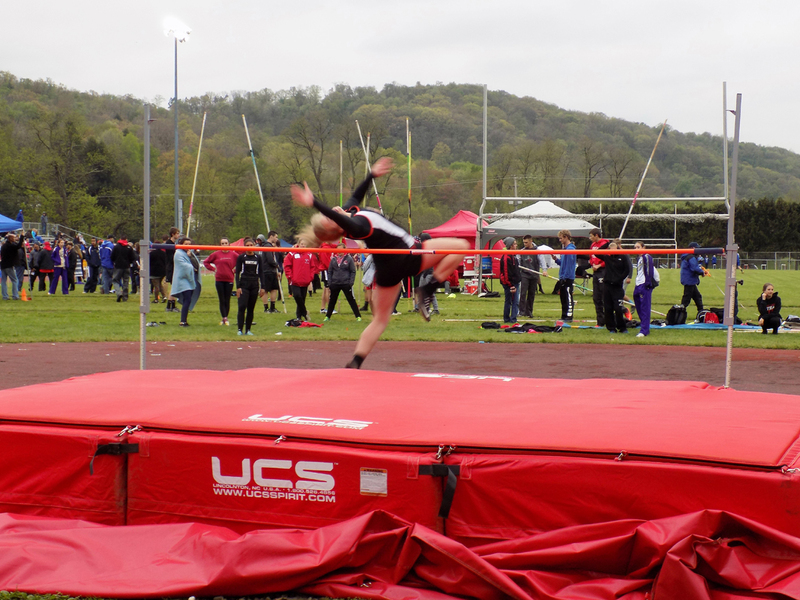 Laken Lewis had two second place finishes, getting silver in the long jump (15-7.5) and pole vault (9-9). 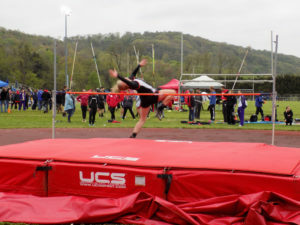 Lexi Lauer was third in the high jump (4-9). She also competed in the the triple jump (28-5). The relays did very well with two third places and a fourth. Alexa Kriebel, Mills, Gabby Weaver and Wendy Beveridge took silver in the 4×100 (54.61). Mills, Alish Nagy, Chelsea Mason and Phylicia Hockman were third in the 4×800 (11:00.03). Weaver, Mills, Hockman and Hannah Phillips were fourth in the 4×100 (4:28.34). Weaver took third in the 100 hurdles (17.81) and in the 300 hurdles (51.22). Hockman was fifth in the 800 (2:36.15). Beveridge was sixth in the long jump (14-10.75) and the triple jump 30-9.75). Chelsea Mason took eighth in the 1600 (6:05.73). Kiara Girvan was eighth in the 200 (29.63). She also competed in the 400 (1:12.56) and 100 (14.27). Hannah Phillips was ninth in the 400 (1:06.56). She was also in the triple jump (28-2.75). Also competing in individual events for the Lady Cats were: Lauren Troutman in the 100 (14.24) and 200 (30.89), Ali Troese in the 400 (1:17.19) and 800 (3:06.33), Nagy in the 300 hurdles (55.64), Kriebel in the 100 (14.38), Katie Craig in the 1600 (6:46.72) and Imani Turner in the javelin (63.5).